For 11 years Christie Biesold has suffered with psoriatic arthritis, an autoimmune disease that causes joint pain, stiffness and swelling. Her daughter and father-in-law also have the disease. Benaroya Research Institute at Virginia Mason (BRI), led by President Jane Buckner, MD, is an internationally recognized leader dedicated to discovering causes and cures for autoimmune diseases. They affect one in 15 Americans. Christie and Todd, as well Todd’s parents Bruce and Phyllis Biesold, give personally and through their family business Merlino Foods to support BRI. 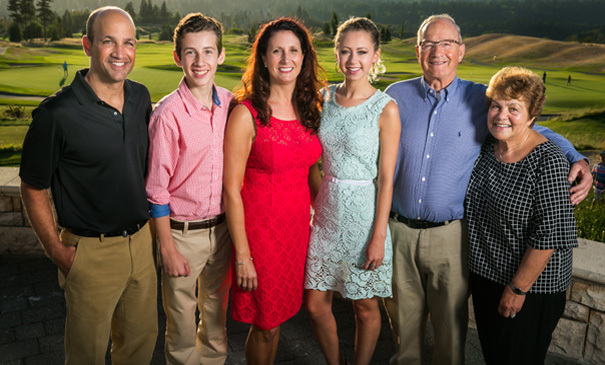 Todd’s sister and brother also give through Merlino Foods, a Seattle family-owned food supplier for restaurants, food-service companies and bakeries. By giving cash contributions, personal donations of stock as well as corporate gifts from Merlino Foods, the family has flexibility in giving times and modes. “We also use the opportunity to give ‘in honor of gifts’ for our family or our customers,” says Todd.